Modern family minivan in urban landscape. Comfortable minibus, family van, people transportation concept. 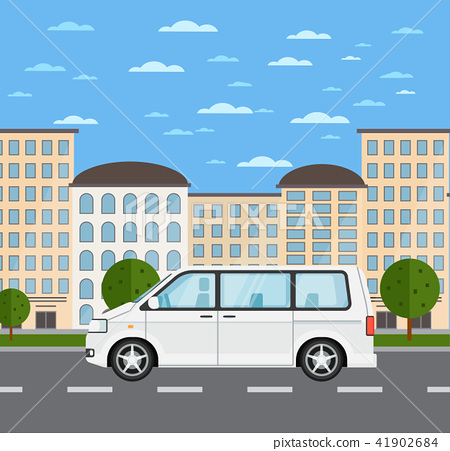 City street road trafficillustration, cityscape background with skyscrapers.